Monday’s implementation of the Legal Aid, Sentencing and Punishment of Offenders Act means 210,000 fewer cases are now eligible for family legal aid each year. Couples can turn to new service Intelligent Divorce for a swift, cost effective way of agreeing a divorce settlement without having to go to court. On 1st April £350m was cut from the £2.2bn legal-aid bill, meaning a 75 per cent reduction in cases eligible for legal help. In divorce cases, legal aid will now only be available where domestic violence is alleged, leaving many thousands of people who need to find an alternative to the lengthy, expensive court process. 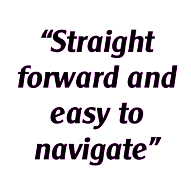 People whose lawyers would have been funded by legal aid can now use www.intelligentdivorce.co.uk to take control of their own divorce settlement, avoid the long and often traumatic court process and save on unnecessary solicitors’ fees. The Intelligent Divorce process guides couples to a legally binding arrangement, unlike the many unregulated “quickie divorce” offerings available which handle only the divorce paperwork and so could leave individuals with an insecure financial future. Moreover Intelligent Divorce means couples are spared negotiating the complex court process themselves and facing lengthy delays in the already overburdened court system – delays which will only worsen as increasing numbers of self-representing litigants flood the courts. The cost for an individual to obtain bespoke legal advice from a barrister about their case (the ‘solo’service) is fixed at £599 (plus VAT). The co-operative service is fixed at £998 (plus VAT) for a couple, so £499 each. · The couple are guided step-by-step through the process of gathering financial information about their situation themselves, avoiding paying considerable solicitor’s costs for non-legal work. · Thereafter an expert family law barrister will give their legal opinion as to what a court would view as a ‘fair’ split. 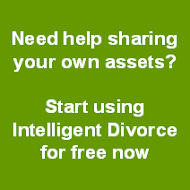 · The couple can then use this advice, along with the tools on www.intelligentdivorce.co.uk to agree an amicable and legally fair division of their assets which can then be lodged in court. · Clients can call their own personal case manager at any time to answer any questions they have on the process. · Individuals can choose to use the Intelligent Divorce solo service and can use the barrister's opinion as a cost effective way to settle with their ex-partner, knowing that they are negotiating based on professional knowledge. Intelligent Divorce was founded by leading family lawyers Mahie Abey and James Roberts, with publisher Melissa Chapman. Individuals or couples can find out more or trial the service free here.